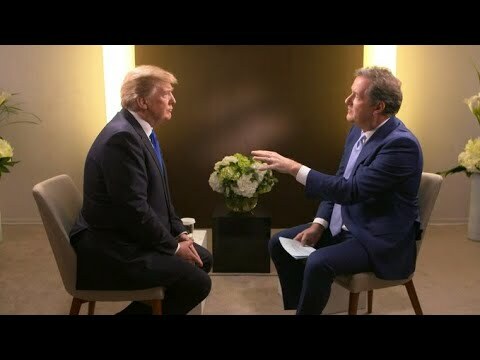 In the course of Trump’s softball interview with his friend Piers Morgan, he said he’d be willing to apologize for retweeting three tweets by a member of a British far right racist group, Britain First, which has about 1,000 members. But he defended the content of the tweets, which were attempts to smear all Muslims by depicting some particular Muslim committing an outrage. The videos Trump retweeted are suspect (one perpetrator was identified as an immigrant but was not), with at least one being a fraud. Very unfortunately, a lot of the press fell for this non-apology, with NPR putting up the headline “Trump Offers Apology For Retweeting Anti-Muslim Videos From British Far-Right Party.” Have they become Pravda? Trump had also incorrectly alleged that Muslim immigration to the UK has caused a crime wave. Over the past 20 years, annual victims of violent crime in the UK have fallen from 5 in every hundred to 2 in every hundred, at a time with the number of Muslims has about doubled. The crime wave in the UK is a big rise in the number of hate crimes, including against Muslims, for which Trump is partially responsible. No apology for this false allegation is forthcoming from Trump, and he told Morgan that he is tough on immigration, by which we know he means he is an unreconstructed racist. I take it what is going on is that the British upper crust is pressuring Trump to dissociate himself from Britain First but doesn’t care as much if he remains associated with anti-Muslim hate speech.